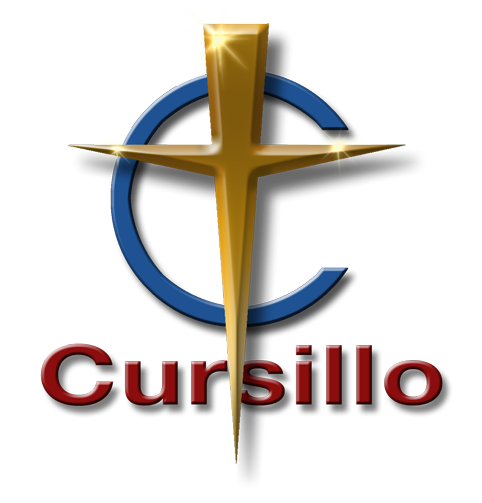 Cursillo- it’s about community! Fill your heart by spending a few days away from life’s distractions and take your faith to the next level during a Cursillo weekend. Through talks given by both lay and clergy, small group discussions, worship, and the sacraments, participants come away with the tools to help them lead a more Christ-centered life. After your weekend retreat, you will connect with people regularly through small groups to deepen your role as a disciple. Come and See! Interested in visiting a men’s or women’s small group? Groups meet regularly at or near Saint Michael’s. Contact: Joe Walker [email protected] or Britt McGannon [email protected]. The Reverend Dr. Eric Liles joined the Saint Michael clergy team as Associate for Formation in August of 2017. He leads all of the church’s formation programs including Adult, Youth, and Children and Family ministries. Eric is a 1999 graduate of Texas A&M, a 2007 graduate of Virginia Theological Seminary, and received his Doctorate of Ministry from the University of the South – Sewanee in 2016. He has served churches in Austin and Alabama, and spent 5 years as the Rector of St. Paul’s Episcopal in Ivy, Virginia prior to joining Saint Michael. Eric is married to the Rev. Allison Liles. They have two children, Hill and Pailet, and a dog. He enjoys cycling, golf, hiking, other outdoor activities, and plays guitar. He is also an Eagle Scout. Education for Ministry (EFM) is a program for adult Christian Education that combines the study of scriptures, Christian history, and theology with a focus on ordinary experience in order to discern God's presence in one's life. Registration is required. $365 Tuition for the year, partial scholarships are available. Weekly class attendance for 9 months is required. Each week we go through the readings for the upcoming Sunday and rich discussion follows. Bible study exploring Acts of the Apostles, open to everyone. We will focus on how the first generation of Jesus' followers built the church. Study Guides (optional) are available in the Saint Michael Book Shop. Bring your Bible and your questions! We will dismiss early on WOSM luncheon days. Learn more and listen to recordings at saintmichael.org/rectorsbiblestudy. The Enneagram is a personality assessment tool that helps us learn more about ourselves so that we might learn more about how we are in relationship with God and with the people most important to us. Mary Ann Webster and The Rev. Mary Lessmann facilitate this class which utilizes the DVD curriculum of Suzanne Stabile, an internationally recognized Enneagram master and a very entertaining presenter. Registration is required. The class begins with a reading then moves into meditation for the remainder of the hour. Even if you have tried to meditate before and were for some reason unable to, perhaps the many new and creative opportunities offered in this class will access this beneficial practice for you. We all will have the support of the group to help us along. The class is open to all ages and is co-ed. This men's group meets to discuss the lessons for the current week from the Lectionary, exploring ways in which the passages speak to everyday life and our own spiritual journey. Lessons and commentary are emailed early each week to enable participants to familiarize themselves with the material. On a rotating basis, participants facilitate discussion by studying the lessons and reviewing available information on the subject. Following the session, those participants who have time to do so move on to the Flying Fish in Preston Center for breakfast. Participants are welcome, but not required to attend the 7:00 a.m. services in Bishop Moore Chapel. This Bible study is based on the Lectionary readings for the coming Sunday, meets throughout the year, and advance preparation is not required. There are no attendance expectations other than to come when you can as often as you are able. The group is led by lay members and occasionally clergy. Bible study exploring Luke and spirit inspired questions of faith. Newcomers welcome, bring your favorite Bible translation.